Sara was born and raised in Johnson County. She attended St. Thomas Aquinas High School and went on to Kansas State University where she received a B.S. in Human Ecology/Apparel Marketing. She began her real estate career in 2003 as the Marketing Manager for a regional shopping mall. She was integral in leasing and marketing over 296,000 sq. ft. of retail space. After 2 children, Sara made the decision to switch gears toward residential real estate to help others open the door to their next chapter in life. 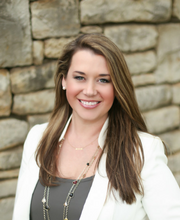 She takes the dynamic marketing skill set developed in her commercial real estate background and has honed it to provide her clients with the best real estate experience possible. Sara’s utmost priority throughout her professional career is to provide her clients with commitment and honest customer service. However, Sara’s true base for success is finding satisfaction for her clients.